If you’re a business owner, then you know it feels great to make a profit. You’re also painfully aware how quickly that sense of excitement evaporates when it’s time to pay the bills. Handing over money to suppliers, vendors, partners and other businesses may not be the most enjoyable way to spend your business time, but it’s an integral part of staying in business. Virtual credit cards might take some of the pain out of paying. Here’s how they work, who stands to benefit and whether the time has finally come for your company to check them out. A virtual credit card is a payment method that combines some of the best aspects of regular credit cards and modern IT-powered business banking. These cards do not look and feel like traditional plastic cards, they are generated in the cloud and are simply a set of numbers. You fund them using prepaid accounts instead of lines of revolving credit that you have to apply for. The terms “virtual credit card” and “virtual debit card” are many times used interchangeably. What makes virtual cards so vitally important? Virtual pay cards are expanding modern business models because they give entrepreneurs and managers more room to experiment safely. Today’s professional ecosystem increasingly favors those willing to explore alternative workforce distribution modes and new technology. Virtual pay cards let you try new expense technology without feeling like you’re taking too much risk. Small businesses managers can lack the experience and resources to implement effective payment processing, reimbursement, fraud-tracking and other corporate necessities. Virtual credit cards come with these elements and tools by default, so it’s a lot easier to grow into the kind of organization you’ve always envisioned. Above all else, virtual debit card solutions deliver decision-making independence. By unshackling business leaders from the constraints of bank approvals, card transaction fees and poor credit scores, virtual cards let companies pursue higher growth. Why are thousands of companies transitioning to virtual cards? It’s no mystery to those who take a look at the operational advantages. Employers who distribute virtual debit cards don’t have to reimburse employees for purchases they make on behalf of the company. This simple change saves bosses time, paperwork and accounting headaches. It also makes your firm way more professional. You’re no longer leaning on employees who really shouldn’t have to spend their own salaries to keep you solvent or act like the company’s bank. Face it, fraud happens. Your workers might not be embezzling millions of dollars from your cash drawer, but they don’t have to commit massive thefts to hit you where it hurts. Losing money forces you to fight harder for the smaller gains. Even if your company survives in the long run, your projects and partnerships won’t always prove so resilient. Employee fraud isn’t the only type of theft that you need to take a stance against. When working with untrusted suppliers, offering up your payment data or account information is a considerable risk. Even when firms aren’t outright stealing from you, they might make mistakes or try to complete erroneous transactions that can hurt your balance sheet. A virtual pay card tells you when fraud is on the horizon so that you can sidestep it in time. Failing that, it only lets people access the specific accounts that you allow. Since you can even forbid certain types of purchases, you don’t have to work as hard to minimize losses or credit card fraud. Eliminating reimbursements is just one of the ways virtual credit cards help businesses shoulder their accounting burdens. Since these payment methods connect to smart mobile reporting software, all you have to do to monitor payments is log into a secure app. The benefits of increased financial awareness also extend to paying taxes: You can filter purchases based on your own custom rules to make exemption tracking about as straightforward as it gets. The simplified, reimbursement-free payment rules also make it easier to keep your payroll accounting process sleek and streamlined. Ghost cards forego tangible plastic cards. Instead, they consist of nothing more than a credit card number. Virtual credit cards are also non-tangible and just a number. So, what makes them different? Virtual credit cards are normally used for one-time purchases. If you had a go to vendor for purchasing something, you probably wouldn’t want to use a virtual credit card. A ghost card would be better suited for dealing with a trusted vendor that your business makes many transactions with. Ghost cards aren’t for every business. Since they are typically used for a specific departments or vendors the card numbers can be around for up to a year. This exposes you to the risk that someone might copy the digits and make an unauthorized purchase before you can stop them. How do businesses use procurement cards, also known as P-cards or purchasing cards? 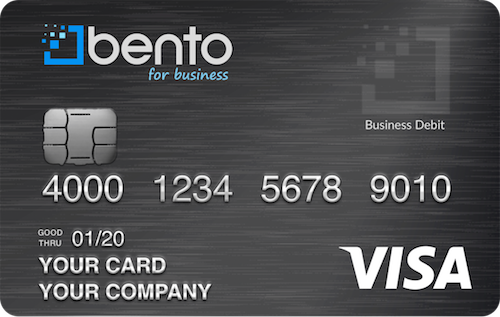 Businesses use procurement cards to give to trusted employees. Although the employee is trusted, procurement cards have extra expense management baked in such as spending limits or limits on what the employee can buy. Procurement cards are a better solution when it comes to giving an employee a card they can use for a longer period of time. A virtual card would be better if the employee had to make a few one-off purchases. Both types of cards are valuable yet solve different problems dependent on business needs. 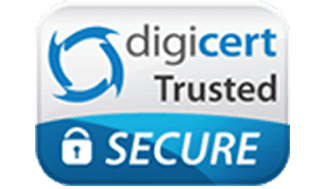 How do virtual debit cards help stop fraud? Businesses often use ghost, procurement and virtual credit cards for similar purposes. Fraud prevention is one area where going virtual is unequivocally better than the other options. Substituting a prepaid debit account for a credit alternative means that there are hard limits to how much someone could potentially steal. Receiving by-the-second updates instead of waiting for a once-monthly statement lets you see trends that might spell trouble. Modern virtual cards amplify your understanding of expense activity. You can narrow down suspicious activity according to details like locations, purchase times and transaction sizes. You can give each employee their own virtual pay card that only they use instead of making a whole department or group share. Since everyone’s accountable for their spending, they have more incentive to be on their best behavior. You can check in online when you want to observe your cashflows in action. You can generate and share reports with your decision-making team, stakeholders and employees at a moment’s notice. Since expenses start out in different categories that you set instead of you having to organize them after the fact, you can lighten your administrative task load with a little bit of planning. How long can my business use a virtual credit card? Virtual credit cards beat other options in terms of flexibility. With business credit cards, you often have to agree to minimum service subscription periods. Virtual credit card providers may offer a broader range of options that better suit your expense calendar. Also, think about the fact that virtual pay card users don’t have to have revolving credit. If you decide to cancel your card, you can do so without as much cleanup in the accounting department. Virtual credit cards last as long as regular plastic cards do. Since you can have multiple cards for different employees, your organization can make more purchases seamlessly and conduct simultaneous transactions. Should you switch to a virtual credit card? One 2016 case study examined a company that spent millions on corporate travel each year. Virtual payment cards let the firm expand its business to regions that weren’t too friendly to corporate cards and cut down on overseas fraud. Fuel fraud isn’t going away anytime soon. In addition to your workers making transactions they shouldn’t, thieves commonly install skimmers at fuel pumps. The workforce of the future is distributed, streamlined and mobile. Virtual pay cards give you more room for expansion even if you take a non-traditional approach to growth, yet they never ask you to relinquish control. Bento for Business makes it easy to put these and other benefits into action at your company. Learn more by calling 866.220.8455 or sign up for a free 60-day trial today to experience the significant advantages firsthand.